School - HOPE and CARE for CHILDREN, Inc.
Did you know that you can sponsor a child's Lutheran education for as little as $25/month? Imagine the barriers that are broken through literacy and a relationship with Christ? What a tangible way to offer hope in Jesus' Name. Of course any amount and one-time gifts are a huge blessing! ​As always 100% of all Hope and Care gifts go straight to the student with zero administrative fees!! Hope Lutheran School is now in session and serving students from Nursery - Grade 9. We thank the Lord for the opportunity to share Jesus Christ and impart knowledge, wisdom and integrity within our community and to future leaders of Liberia. Destitution is not a stranger to Liberian families but some have it worse than others. For some, being able to provide an education would mean not providing food for their family. But scholarships were possible through the loving generosity of friends and members of ​Faith Community Lutheran Church & Schools in Las Vegas, NV. Construction of Middle School/High School wing, library and 4 administrative offices is complete. Praise God! It is a common situation in Liberia for pastors to wear more than one hat in life. This partially due to the fact that most churches cannot afford to pay their pastors anything more than a stipend. So, in order to provide for their families they must find employment outside the church while still pastoring their church. This is true for Rev Patrick F Nanning, the Executive Director of HCC.. He is also Sr Pastor of St Paul Evangelical Lutheran Church. But he was also the Principal of Hope Lutheran School for the past 2 years. He has vast experience in school operations as St Paul has a Lutheran School from Nursery - Grade 12. Rev Nanning founded the church and school and understands the dynamics of staffing, the government bureaucracy, tuition payments, scholarship policies etc. Plus, he is experienced in wearing many hats! Rev Nanning took the position of principal on a temporary basis, so he could see first-hand what the challenges of this new mission school would be and set a vision for the staff. Then when he felt comfortable that the ministry was moving in a healthy direction, he would find the right qualified person to lead it through our next season! Please welcome....Principal John Nyumah. He comes to HCC with a vast background in education and a passion for literacy and adult education. His heart is to wipe out literacy through Lutheran education. He is long-standing member of St Paul and comes highly recommended by all of his pastors. He is excited to join the Hope and Care family and thanks God for this opportunity. 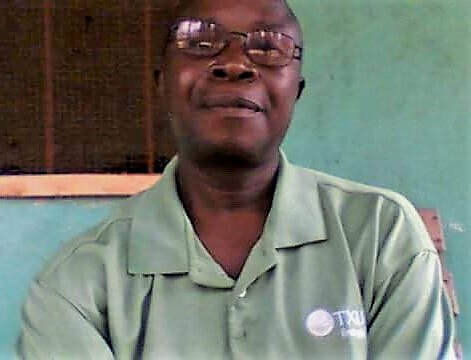 Please join us in thanking God for Mr Nyumah and praying for him. In September '17 we officially opened the new school building with an enrollment of 300 students from Nursery - 6th Grade. ​1/3 of the students received scholarships or they would not have been able to attend school. The farm in Bong county is designed and now being implemented to provide sustainability to the ministry and directly fund scholarships. 2016 - School or Home? ​HCC School took up temporary residence inside the orphanage home while we waited for construction to be completed. The school opened in September 2016 with 115 students from Nursery through Grade 3. When Hope and Care moved into our new community there were no school in the area, public or private. But do we tutor our kids or open a small school for the community? We had only constructed a home; the school was not built yet. So what else could we do but open our home to accommodate the school and as many kids in the community as possible. The older orphans commuted to the "nearby" school. There were many challenges as the 2 ministries co-existed in the Hope home. But, it was well worth the sacrifice!! Each day the living room in the Hope home was converted into 3 classrooms and each afternoon it reverted back to a living room. Bedrooms were also shared space. But what we developed was a strong healthy relationship with our new neighbors. Could we have just tutored our kids and had more space for the kids to live and study and eat? Sure but what would Jesus do?